One year after India demonetized 86 percent of the currency then in circulation as part of a massive drive to cleanse the economy of black money, a new challenge is awaiting the Narendra Modi-led government as cryptocurrencies have replaced hard cash in sectors that thrive on shady transactions. New Delhi (Sputnik), Rishikesh Kumar — As cryptocurrencies increasingly become an investment fad, Sputnik's investigations have revealed that a growing number of politicians and high-profile Indian citizens are turning their hoarded cash into cryptocurrencies and investing them in the real estate sector. An insider at one of India's cryptocurrency exchanges suggested that it would be no surprise if the Indian government decides to legalize virtual currencies, as people who influence policymaking are also lapping up this trend that offers lucrative returns. Real estate has always been an attractive destination to park illegal wealth in India and it still tops the list of businesses that have taken refuge in the virtual world where faceless and stateless cryptocurrencies are traded in exchange for handsome returns, according to brokers contacted by Sputnik. Prior to the demonetization and the subsequent crackdown on high-value cash transactions, investments in immovable assets and the returns thereof were partly made in cash, which was hard for the authorities to track and tax. Post demonetization, this option was completely erased, leaving real estate investors on the lookout for other easier options to skirt taxation. Following months of the slump, India's real estate sector is on the rebound, especially in the ready-to-move-in segment. According to an Indian house price index released by the Reserve Bank of India (RBI) on October 24, a sequential increase of 3.8 percent was recorded in property sales in eight of the 10 cities surveyed in the latest quarter. Delhi has recorded the highest percentage increase in sales, as well as real estate prices. "Builders have again started making a profit by selling villas, apartments as well as flats. Traditionally, in such sales, a significant portion of the payment was made through cash. 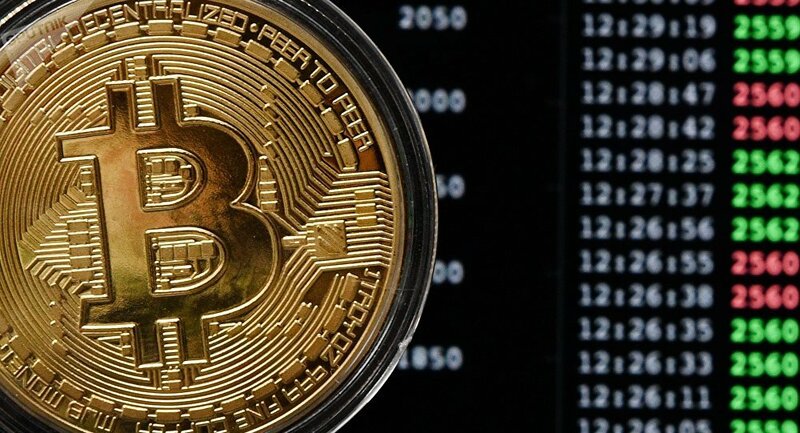 Now, this portion of the payment is being made though cryptocurrencies by many buyers," Sanjay Sharma, of Gurugram-based real estate exchange QuBrex, told Sputnik. Property dealers who had shut their offices in large cities have started reviving their businesses. One such dealer says cryptocurrencies have come to their rescue. "Earlier, more than 300 property brokers' shops were running in the Ansal Arcade building in sector 18, Noida [National Capital Region] which were reduced to 50 post demonetization; but recently those dealers have reopened their offices after they tried their hands and earned huge profit in cryptocurrency brokerages. 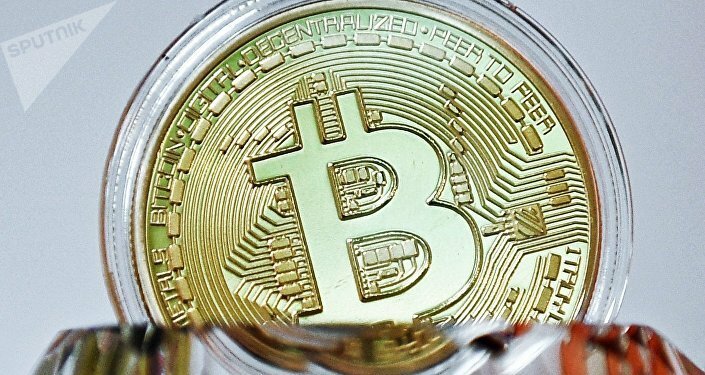 This is highly suggestive of the fact that these brokers have started luring people with big cash in hand to route their investments in real estate via crypto-coins that can be easily purchased in exchange of their hoarded cash," Aslam Matin, a Noida-based property broker told Sputnik. Upon further investigation, a Sputnik correspondent met with several property dealers who offered investments in the real estate sector through cryptocurrencies with a guaranteed return of 18-30 percent per month. One such person named Raj Soni even promised bigger returns if Sputnik's undercover correspondent helped rope in more people into the investment chain, which works as a multilevel marketing scheme in India. "Bitcoin is very costly now but you can invest in other virtual coins [cryptocurrencies]. If you work with us and bring more people, your $2,000 can grow up to $15,000 in less than three months. Do not worry, sir, politicians have also been using virtual coins in place of cash to invest in the property. If they [the politicians] are investing then surely the day will come when the government will legalize the coin in India as well," another property dealer who promised lucrative returns on investments on a property along the Noida Expressway in India's National Capital Region told the undercover journalist. Investigations uncovered a startling revelation that a huge number of politicians and other high-profile public figures have been investing a lot of hard cash on cryptocurrencies. "They have formed a closed group who trade in a systematic way. An investor has to pay approximately $600 to become a member of such a closed group. A membership fee is charged for providing a digital wallet to the new investor. The new member can check the invested amount in his ‘wallet' as coded money in London exchange NOVA. If a member brings any new member in the group he is entitled to receive 5 percent commission." said a Gurugram-based property dealer who did not want to be named. A person involved with one of the overt cryptocurrency exchanges told Sputnik that the "exchanges have been adding over 2,000 users a day." The exponential growth of Bitcoin has brought hundreds of other crypto-coins [of Indian origin] to the market. Property dealers are now offering investors the option to invest their illegal cash in real estate through cryptocurrencies while promising handsome returns of up to 300 percent. There are a number of exchanges, some online, where the Indian rupee can be traded for cryptocurrencies that go by different names like Altcoins, Ethereum (ETH), Ripple (XRP), Litecoin (LTC), Neo (NEO), Bitcoin Cash (BCC), etc. "Presently, close to 1,000 crypto-coins (cryptocurrencies) are available in India. But I think only 8-10 coins will survive in future as others do not have inherent value. Bitcoin is decentralized where no one can manipulate prices and it is safer as well; which is not the case with the other virtual coins operational in India. Suppose, a crypto agent is aware of sensitive details like the password of a member, he may transfer all of their coins to his own account. Despite such risks, people have been investing in millions as hoarding cash or transacting through legal channels have become increasingly risky," Sanjay Sharma added. Though, the Indian government has yet to take a firm decision on whether or not to legalize cryptocurrencies; India's leading Bitcoin exchange, Unocoin, suggests crypto-coin trading could be possible through online banking even if exchanges are banned. One can easily buy Bitcoin with Indian rupees through online banking or through NEFT/RTGS. Selling Bitcoin is just as easy: you will receive Indian rupees directly into your bank account. All banks that are part of the Indian Banking Financial Code are currently supported, according to an Unocoin official. On Thursday, Union Finance Minister Arun Jaitley, when asked whether the government has taken any decision on cryptocurrencies, said, "Recommendations are being worked at. The government's position is clear, we don't recognize this as legal currency as of now." The Supreme Court of India, on November 13, had sought the response of the Indian government and its various agencies, including SEBI, Income Tax, RBI and ED to clear their view on Bitcoin and other cryptocurrency regulation. Cryptocurrency as Cryptofuel: Will Siberia Warm Houses With Bitcoins?